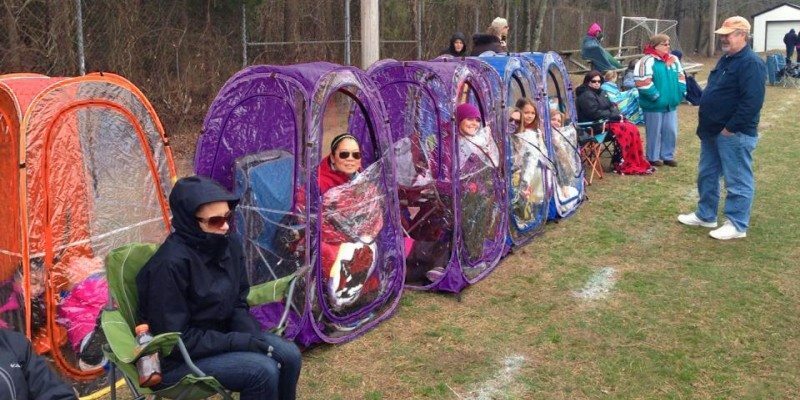 Vancouver Mom > Kid-Friendly Vancouver > Pro tips: Surviving the soccer sidelines in Raincouver! 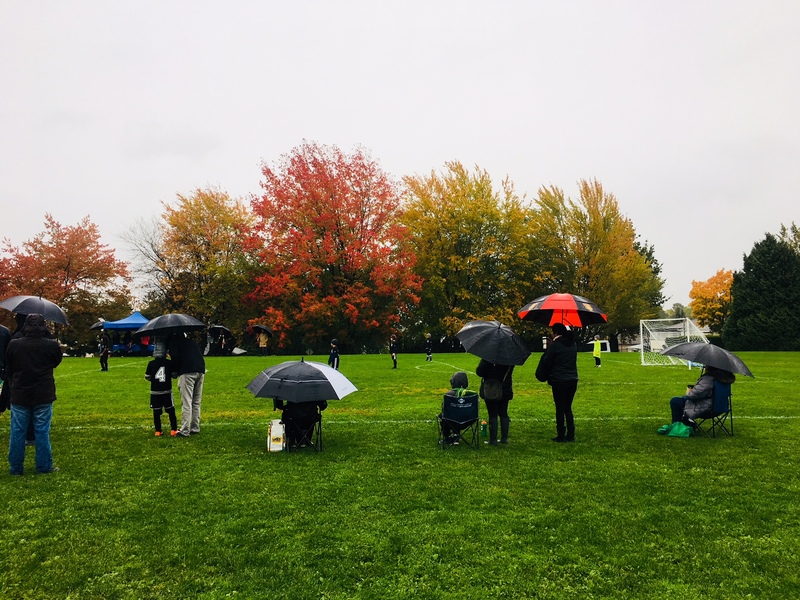 Pro tips: Surviving the soccer sidelines in Raincouver! Did you sign up your kids for fall and winter soccer? Feeling despondent yet? That brief spell of sunny, warm weather is over, replaced by torrential rain and wind. And it shows no sign of stopping. Sob. 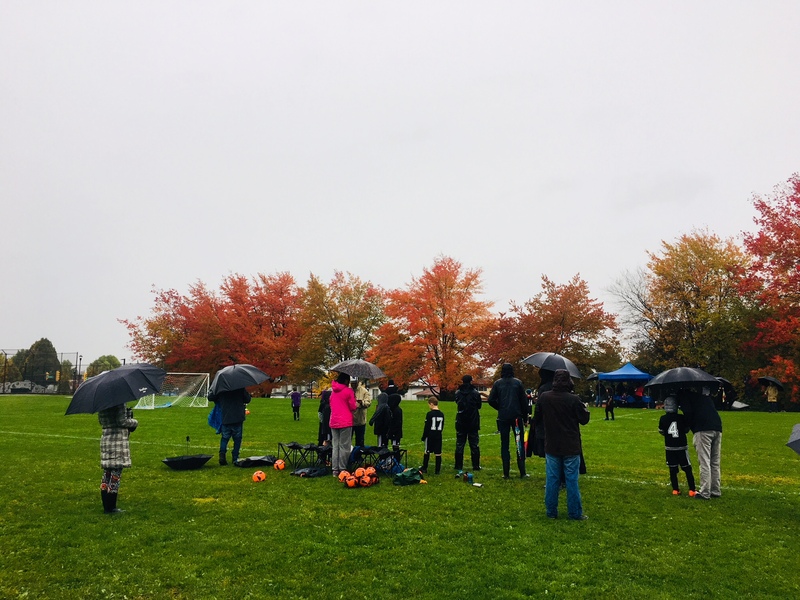 We talked to some soccer sideline pros: moms who’ve weathered the bone-chilling cold of watching their kids run around in everything from epic downpours and even snow to the damp, grey gloom of a typical winter Vancouver day. Seven pro tips from seasoned Vancouver soccer moms! Rainboots may stop your feet from getting soaked but they will not stave off the dreaded foot chill, and cold feet are a fast root to misery. Rain or shine, always wear lined waterproof winter boots. Think Sorels! Yes really. If you are lucky enough to have lined Hunters, well okay, they’ll do and you’ll look good too. PS: Avoid running shoes. Heavy dew even in sunny weather can penetrate through your socks. Rain or shine, always wear lined, waterproof winter boots! Not that easy to come by, but a Gortex, down coat is the key to sideline warmth. A rain coat is not enough and anything that gets wet, mean, you guessed it, bone chill. Make sure your coat covers your derriere to ensure seat comfort especially if you are sitting on a damp lawn chair! This is battle folks! Think like a fisherman going to sea or an Inuit musher heading out with the sled dogs. No warm item will be wasted. Fill up your insulated cup with whatever gets you going so long as it’s hot. Think coffee, tea, miso soup, or perhaps, something a tad stronger. A compact umbrella means wet legs. You need a golf umbrella for full coverage. If you’re lucky some generous soul has put up a canopy with enough room for chairs. Standing still allows the damp to settle, a few laps around the field helps get the blood moving. We’ve heard rumours of battery operated heaters, but a good old-fashioned water bottle on the lap can be a blissful way to stay warm. Check these pods out! Yay or nay?